February is Black History Month in the United States. It’s the month when everybody hauls out their Martin Luther King memes, goes to see “Selma”, and tells themselves, See? I’m not racist. Much like Women’s History Month, it feels like slapping a band aid on a wound that won’t stop bleeding. But if awareness is the first step to getting ourselves out of this cultural morass, of evolving as a society, there’s a whole world of written works to lead the way. 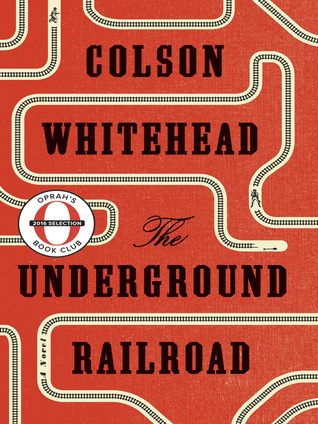 Last week I went to a book talk given by Colson Whitehead. He wrote the award-winning fiction work The Underground Railroad. The opening to the talk was an homage to Black History Month. An eleven-year-old girl sang “Glory” while historic pictures of the civil rights movement in the Twin Cities showed on a screen. It wrung me out. I had to discretely wipe away tears and do my old-lady-digging-in-her-bag-for-a-tissue bit. Much of what we believe and who we associate with is grounded in childhood experiences. I was a white kid from a poor midwestern family, where alcoholism and domestic violence were defining characteristics. I knew three people of color from ages 0-17 and my family had a branch of the racist variety. I heard a lot of slurs and “jokes” growing up. I didn’t understand most of them. I saw the “Roots” mini-series when I was ten, which was pointlessly jarring without mature context and I read Harper Lee’s To Kill a Mockingbird twelve hundred times. But I had not yet entered the world. When I joined the Army and went abroad, that changed. When I went to college, that changed. And when I moved to my working class suburb in the Twin Cities where my daughter attends school as a white minority, that changed. I went from not understanding, to the academic “I’m colorblind” stage, to a recognition of the world as it is. Because I am white, I will never be privy to a complete understanding of the issues at hand. Empathy can only carry one so far. But it doesn’t mean one shouldn’t try. 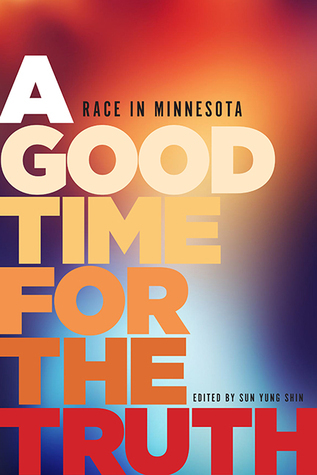 I just finished reading A Good Time for the Truth: Race in Minnesota, a collection of essays edited by Sun Yung Shin. As a writer, I can often miss the message due to the medium. It’s an uneven collection and oversold itself with a quote on the cover that suggested it would be life-changing. That would be the case only if you’d never read anything about racial injustice and didn’t watch the news for the last decade. Still, there were several solid essays that made it worth the read. American racism has many moving parts, and has had enough centuries in which to evolve an impressive camouflage. It can hoard its malice in great stillness for a long time, all the while pretending to look the other way. Like misogyny, it is atmospheric. You don’t see it at first. But understanding comes. 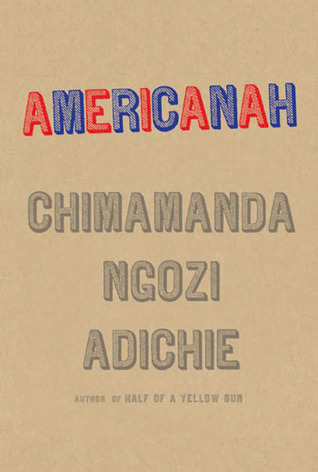 I just finished reading Americanah by Chimamanda Ngozi Adichie and it is a reminder that sometimes fiction finds the truth more accurately than facts. It’s a dense, wonderful book that I didn’t want to put down. The story explores the issues of race through the experience of Nigerian immigrants to England and to the United States, places in which no matter where a person is from, they become “black”. 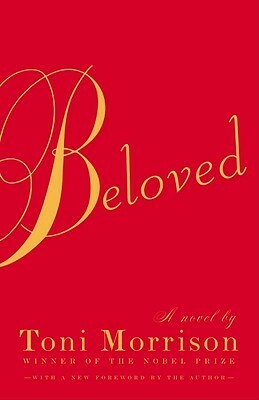 The first time the history of slavery hit me in the solar plexus was after reading Toni Morrison’s Beloved. When I finished reading it, I sat stone still for an hour, book pressed to my heart, awed and overwhelmed. Colson Whitehead, a delightful speaker as well as a gifted writer, made me laugh. He had a similar authorial thought to mine when reading Morrison’s work. I’m totally screwed. He managed to do just fine, though. The Underground Railroad was a merciless read and an artistic masterpiece. Reading outside one’s experience often has the surprising effect of connection, not just understanding. Our basic humanity is one and the same. 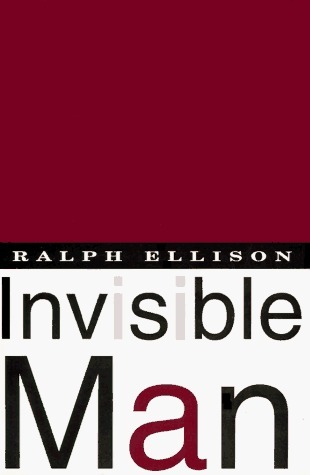 That a white woman could identify with the main character in Ralph Ellison’s Invisible Man is not as odd as it sounds. We all choose to see (or not see) people the way we do and ofttimes, it is not as the complex human being they are – it’s the great sin of stereotyping, so that we do not have to expend our energy being curious. When Chimamanda Adichie talks about the danger of the single story, she reminds us how easy it is to rob others of their dignity through a single narrative thread. And how important it is that we restore it. It starts with the silent turning of a page, of willing ourselves to read outside our metaphorical and literal borders. I’ve also just watched history series about the UK which said that analysis of Neolithic human remains here showed a preponderance of people who originated from what is now Syria. And then in the Roman occupation (which lasted 400 years) the Roman admin came with troops of mercenaries from all over the old world, men who we know mingled with the locals and must have also added their DNA. These are only a few examples, but they suggest any notion of racial purity is completely bonkers. Thank you for another very thoughtful essay, Michelle. Thanks, Tish. I saw that article. Racism in and of itself has always seemed a mystery to me, like sexism and anti-Semitism. It is irrational and illogical and there is no reason in the world to base a belief system on it. But it’s not the reality and that’s where we have to start from – listening to people’s stories, taking action where we can, and challenging our own prejudices. Between The World And Me and Americanah are on my list.truth be told they’ve been on my list for a while but I’ve already got an unmanageable stack beside my bed. I always have a ridiculous stack of books next to my reading chair, but I’ve been finally getting through a lot of them. Winter helps! Yes, winter definitely helps, especially this one. Constantly snowing here this year and very cold — haven’t seen anything like it in many, many years. Thank you for a great post! And some fantastic reads. I love “Cane River” by Lalita Tademy. It’s a book of fiction but so damn telling of a time many of us were lucky to born either afterward or of a different skin colour. I hope one day we can all just move forward together, despite our difference and more importantly, because of them. What makes us unique makes us the same. Thanks. I hadn’t heard of “Cane River”, so I’ll have to check it out. The problem inherent in any kind of -ism is that it’s a happenstance of birth – geography, country, family culture, genes, time period. That’s why things like white pride seem irrational. It’s not like anybody earned their skin color. It’s a reflection of nothing, except melanin or lack thereof and we all have more in common than not. Quite naturally, I loved this piece. Thank you for writing it. I saw “The Warmth of Other Suns” in the list of other books to read and I HIGHLY recommend it. It is about “The Great Migration” that took place over many decades where Blacks left the South to relocate in the Northeast, Midwest, and California. My own grandmother ‘s route was from Augusta, GA to NYC. After almost a year, she sent for her 8 year old daughter (my mom), who traveled unescorted to NYC by train. (But those were clearly different days.) The book focuses on three families and the route they each took to escape oppression in the South. The worldwide influence of race is tied to exploitation and nation-building. It has been called a “social construct” but, here in the U.S., historically, it has had legal underpinnings. This is why I feel outraged when people describe America as being a land of immigrants. Not so. What about American Indians, who had been here for centuries; and Blacks, who came as slaves? And please don’t call slavery “involuntary immigration.” Slavery was ugly, vicious, inhumane, and oppressive, but it is still American history. And, really, that history is the context for where we find ourselves now (many centuries later). I tread lightly when I write about this subject, because it is not my story to tell. But neither is silence an option. I’m tremendously grateful to the writers who do tell their stories, who are willing to dig into the ugly places and share what they know. People often gripe about the focus on the past, but how we got here is critically important to understand how to find our way beyond it. There is no progress if there is a single story and white people are the ones telling it. There was some hesitation in writing about Black History Month. As you point out, this is American History. It’s not a separate thing. Our country is intricately bound to the legacy of slavery and the only way any of us are free, is if we are all free. And truthfulness is the first step. Excellent piece! Thanks for these great suggestions. Another favorite of mine: Waking of White by Debby Irving. And naturally Zola Neale Hurston’s Their Eyes were Watching God. Oh and James Baldwin’s The Color of Water. Thanks. One of my favorites is Their Eyes were Watching God and practically anything by Baldwin, but in the interest of brevity, I had to force myself to stick to a few. It’s a positive sign when there are too many good books to put in one blog post! While I often have a knee-jerk reaction to books being removed from curriculum, in this particular case I tend to agree – not because of the racial slurs, but because these books are dated – there are so many other better books that deal with the issue of race, many of them from the character perspective of people of color. I think it is easy to conflate nostalgia with best practices and best paths to learning. 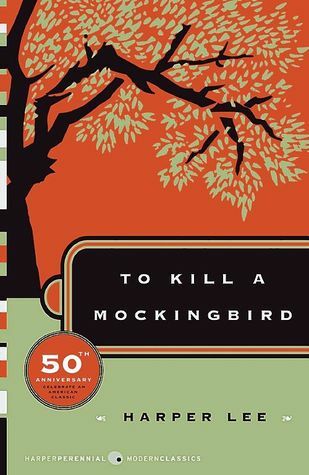 As much as I loved Harper Lee’s book, it was significant to me as a child, for having a girl as a main character and voice (a rarity when I began reading). But the visceral impact of racism was muted, because people of color were secondary characters in the book. And as much as I like Mark Twain, Tom and Huck were dated, boring stories to me when I was a kid 40 years ago. Perhaps it is because I have a teenager, that I have an awareness of the fantastic books now being written for young adults. There is a level of sophistication and awareness that I never had as a kid, with nuanced story lines. I think we can get hung up on the idea of “classic” and forget that more are being written every day. And kids surprise me. My daughter just finished Fahrenheit 451 – a book she picked out on her own, because she was bored with the school selections. Toni Morrison’s The Bluest Eye told me things I never thought of before.